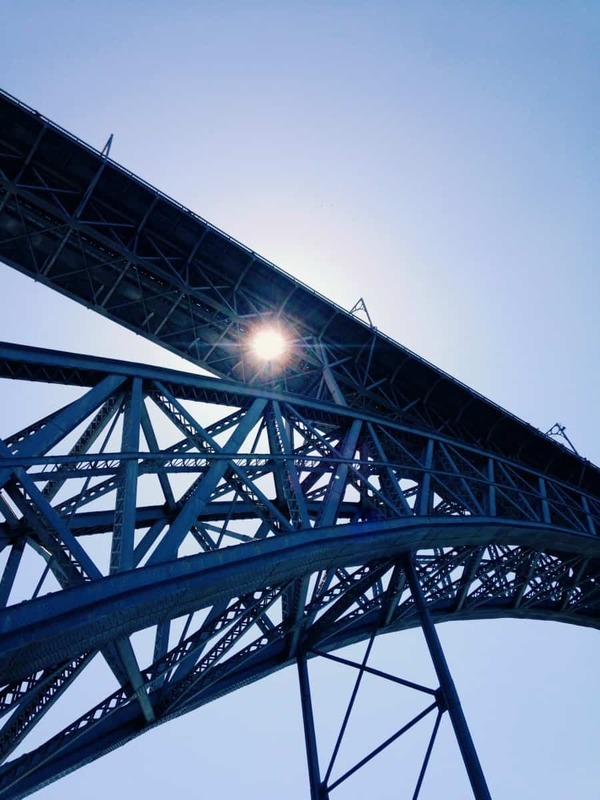 Arrábida bridge is an impressive and one of the most emblematic architectural examples in Oporto, immediately recognized by anyone in Portugal as one of the key profiles of this city. Six bridges, this is one of them. Since early 40’s it had become apparent that the existing connexions to the two sides of the Douro river serving the movement of people and goods were becoming progressively difficult. 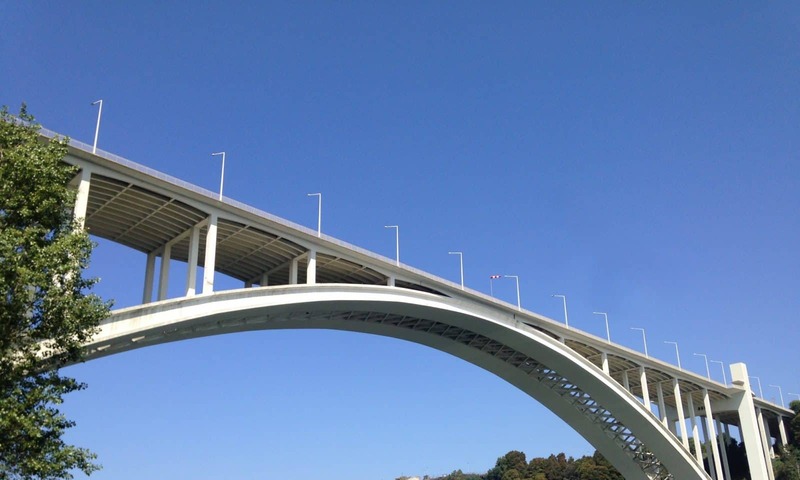 Demographic increase on both sides of the river, more people in the city and more business started to saturate the existing bridge connexions, D.Maria bridge and Luis I bridge. The national authority in charge of road transportation system started to look for the implementation of a new alternative bridge that could satisfy the verified augment in traffic. By 1952 a project was commissioned to one of the most notorious and renowned bridge architects, Eng. António M. Cardoso, who by 1955 had completed his studies on the new bridge. The contractor chosen to handle the aspects of construction was a company from Aveiro, represented in it’s majority by Eng.º José Pereira Zagallo. Beginning of works started in March 1957 and an office was set near the construction site for observing construction progress and the site itself. This office is still visible today, and houses the restaurant Casad’oro . The project was big in every aspects, from financial to resources itself , as the final structure would be the largest concrete-arch bridge in the world, with a main span of 270 mt. In 1959 the government, by authority of the Public Works Ministry, issued a decree (Diário do Governo n.º 91/1959, Série I de 1959-04-22) to the local government of Porto and Gaia to start building new houses for the replacement those who had their houses demolished due to the construction of the bridge. 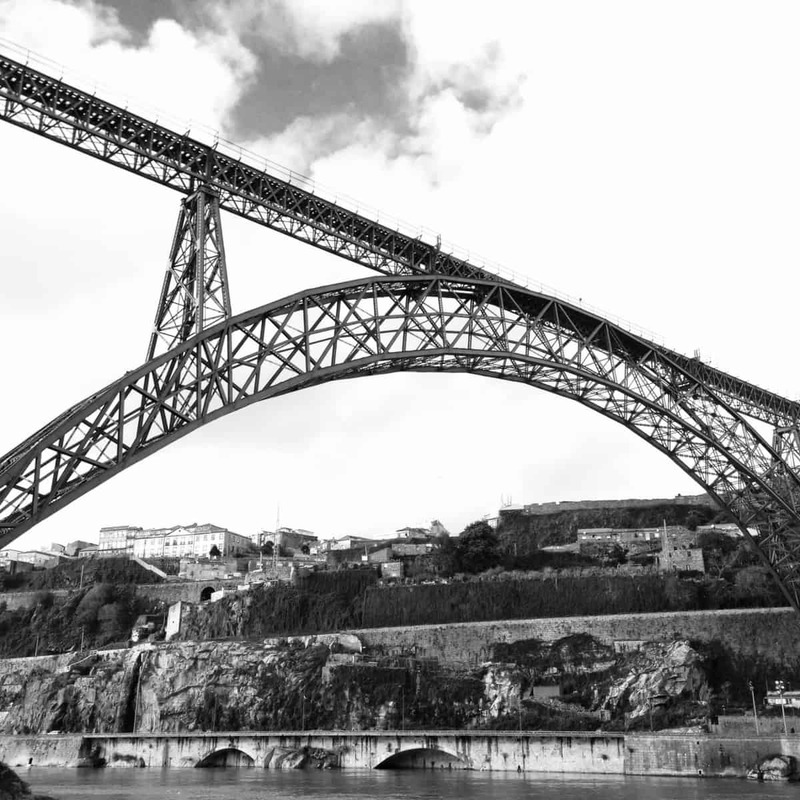 Construction lasted 6 years, culminating with the inauguration of Arrábida bridge in 22 June 1963. Arrábida is an archway bridge, constructed of reinforced concrete and, asphalt deck supported by a dual archway, united by corner narrow elements in concrete crosses. There are 76 pillars, with the largest four located near the main supports, with smaller pillars regularly spaced along the exterior surfaces. The larger columns have elevators that link the deck level to the marginal roadway along the river. Elevator volumes, facing the interior of the bridge, include 4 bronze sculptures of the artists Barata Feyo on the Oporto side and Gustavo Bastos on the Vila nova de Gaia side, with water and Man’s achievements in transposing barriers as theme. “O Homem na sua Possibilidade de Transpor os Cursos de Água”. The bridge is open to radical climbing and visiting. Appointments can be made in the Porto Bridge Climb site.